Can I just say YUM!?! 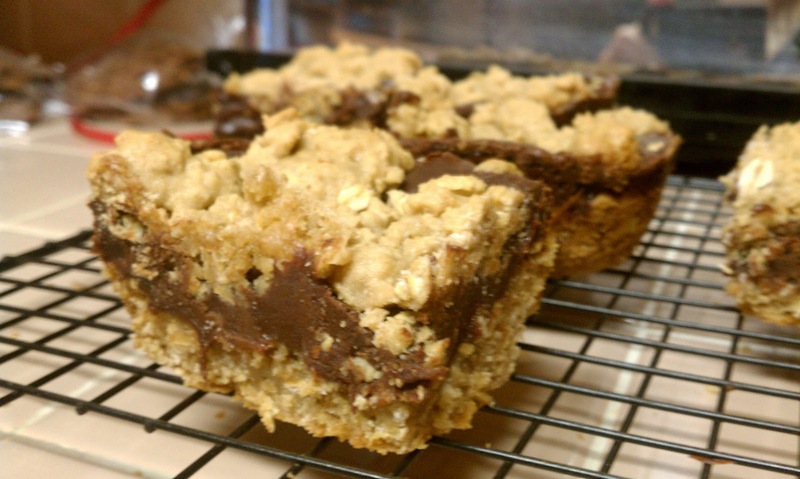 These bars have an oatmeal cookie base and a fudgy chocolate center. and were a HUGE hit!!! Preheat oven to 350 degrees. Lightly grease a 9x13 inch baking pan. 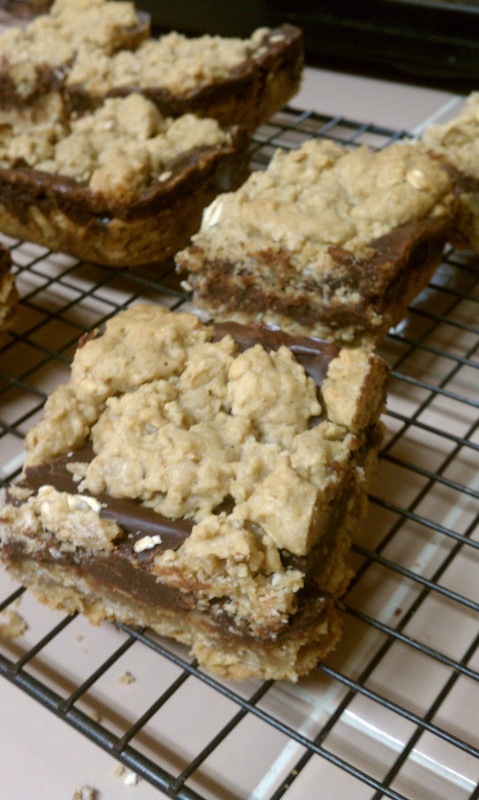 Bake for 30 to 35 minutes in preheated oven. Lisa! I never saw this message until today...so sad to have missed it! Please let me know about it if you do this in the future!